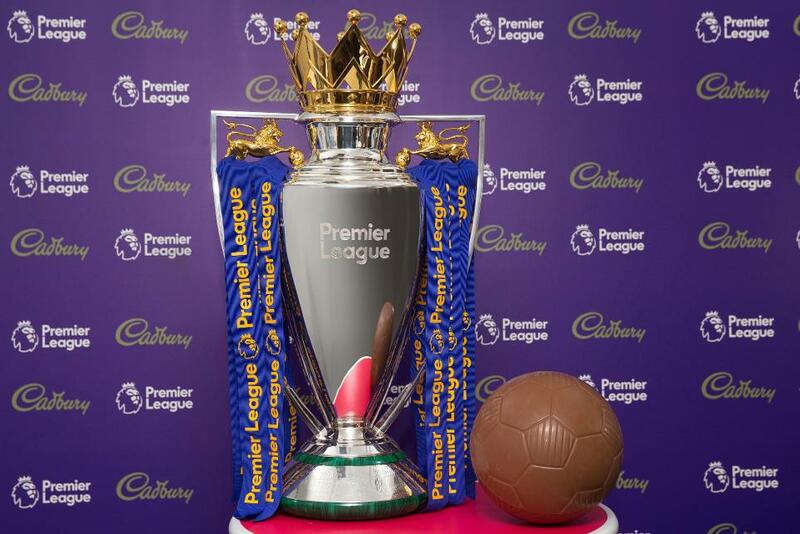 The Premier League and Cadbury, the confectionery brand, have come together to announce an exciting three-year partnership, kicking off from the start of the 2017/18 season. This agreement brings together two iconic names that have a unique place within popular culture, and the hearts of people across the country. For Cadbury, the nation's favourite chocolate, this builds on the brand's history of iconic partnerships including its sponsorship of London 2012, and provides another platform for the brand to bring moments of joy to millions of people through the excitement and thrill of the Premier League. As part of the partnership, Cadbury will also join forces with the Premier League to deliver a bespoke element of the existing community programme Health for Life, which is currently focused on making a real difference to the lifestyles of 60,000 school children. Cadbury and the Premier League will work together to create new, tailored sessions focused on healthy lifestyles, expanding the programme's reach to inspire young people in schools across the country. "We are very pleased to be entering into a new partnership with Cadbury - one of the country's most iconic and well-known brands," said Richard Masters, Premier League Managing Director. "Cadbury's popularity across the world, and our shared focus on delivering moments of joy, make this a great fit for the Premier League and we are thrilled they have chosen to work with us in what is their first ever partnership in football. "We are really looking forward to working with Cadbury to celebrate the excitement of the competition, and on the plans we have to jointly grow and enhance their Health for Life project as part of the Premier League’s wide-ranging community work." As part of the agreement, Cadbury will be joining a growing portfolio of global Premier League partners and will enjoy a range of rights relating to player milestones including the Premier League's Golden Boot and Golden Glove awards. Francesco Vitrano, Cadbury brand director, said: "For over a hundred years Cadbury has been about bringing little moments of joy to people's lives, something that fits well with the joy created by Premier League football every day - whether it's a moment of magic that turns a match, watching a game together with loved ones or just debating the weekend's goals with friends. "This partnership opens up fantastic opportunities to bring those moments of joy to life in new and different ways - in-store, on our packaging and in the community, as well as other ways we hope will surprise and delight our customers. "This is an incredibly exciting chance to bring together the Cadbury brand with the unmistakable Premier League brand, and a chance to be part of moments such as the Golden Boot and Golden Glove awards, and we can't wait to start this journey with the Premier League."